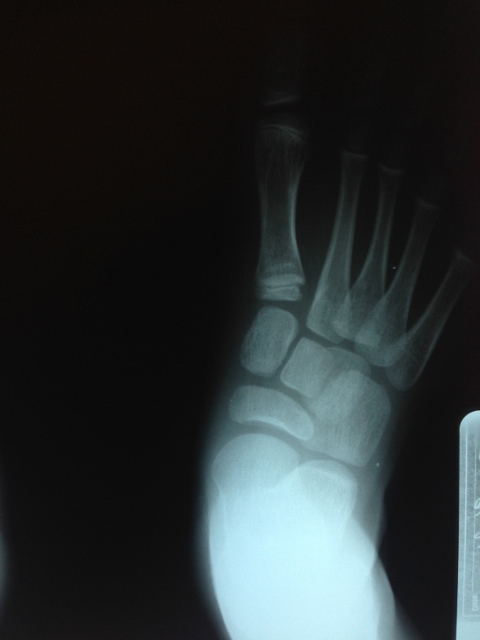 Pre-operative x-rays of the flatfoot with the talus deviated medially due to subluxing off the calcaneus causing the midtarsal joint to sublux laterally and uncovering of the talar head at the talo-navicular joint (left). 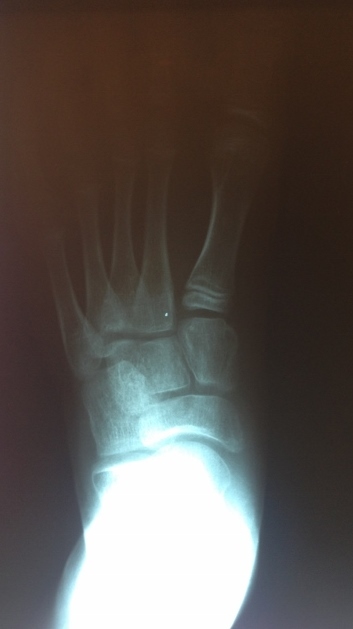 The talus bone should line up with or be close to paralletl with a line drawn through the 1st metatarsal shaft (right). 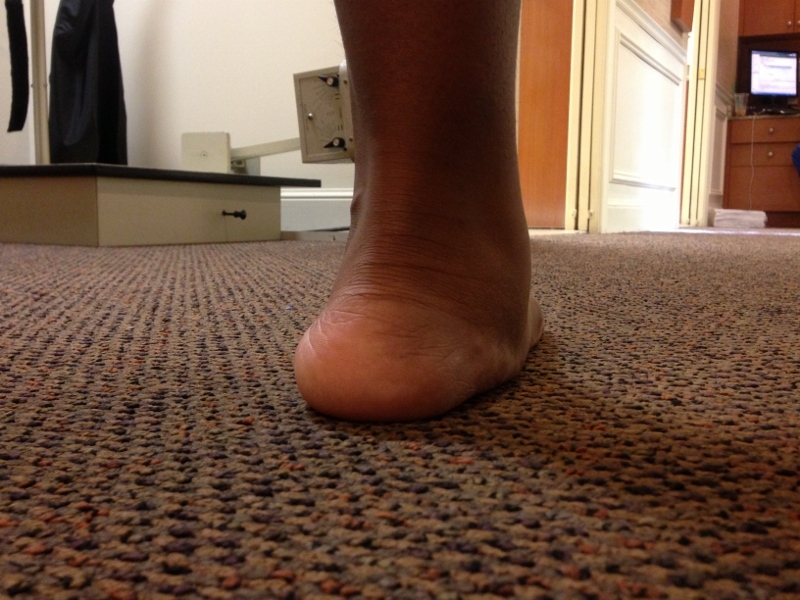 This is referred to as Meary's angle. 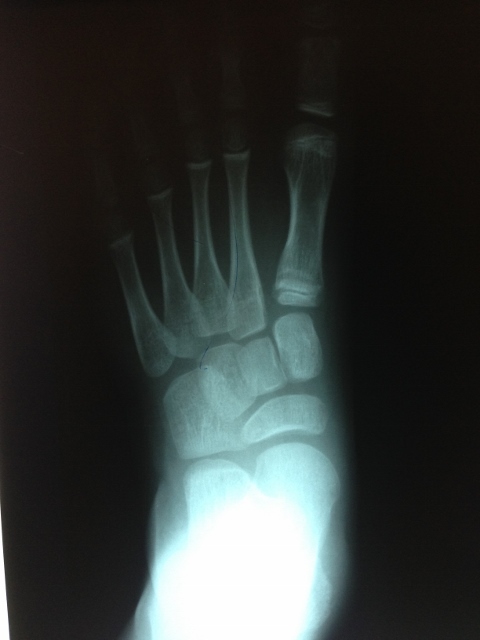 One case see an improvement in Meary's angle after surgical repair of the flatfoot with a subtalar joint implant which blocks the subluxation of the talus off of the calcaneus. 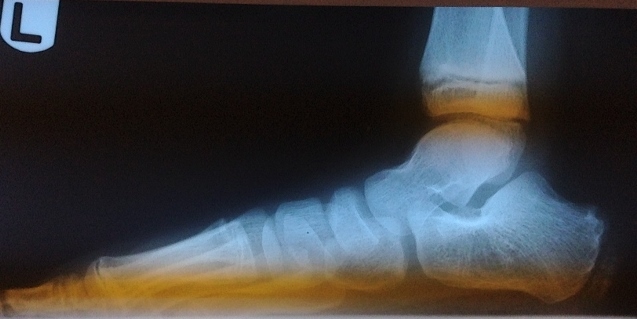 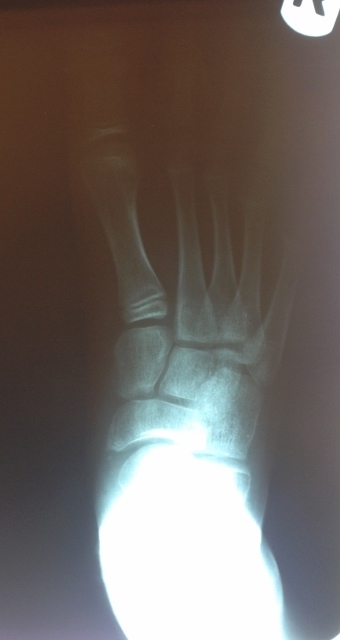 Below are x-rays of a foot pre-operatively (left) where the black line indicates and plantarflexed (downward directed) talus bone and post-surgical repair with a subtalar joint implant and lenthening of the calf muscle which allows the calcaneus (heel bone) to set underneath the talus and the implant keeps the talus from subluxing off the calcaneus and now the talus is more inline with the front of the foot (right).